We are Rochester & WNY's exclusive installers of CQuartz Finest Reserve & CQuartz Professional. We refine surfaces to perfection. Our correction and scratch removal services are designed to deliver results. Our complete detail packages offer services to get your entire car look its best. Comprehensive interior reconditioning no matter the challenge. We proud installers of SunTek and XPEL paint protection film. We are the premier destination for auto detailing and reconditioning in Rochester, NY and western New York. Founded on the principles of honesty, quality, craftsmanship, and excellence we are committed to providing a second-to-none experience at every turn. We take a bespoke approach to our work. Everything we do is with you, the client, in mind and we seek to provide a personalized service to ensure you get the experience you desire. Areté has a broad set of capabilities from a car wash to complete concours services and ceramic coating. We specialize in providing superior car detailing for Rochester and greater WNY, as well as paint correction, full vehicle ceramic coatings, and paint protection film & window films. Our lines of paint protection systems have been hand selected for you and represent the best of what the market has to offer. Whether you choose CQuartz UK, CQuartz Professional, or CQuartz Finest Reserve you know you’re getting a quality product delivered by true professionals. We are proud to be the Rochester region's exclusive Finest Reserve installer! We are also proud to carry interior coatings for leather and fabric by CQuartz. All of our paint protection systems can cover every surface of your vehicle inside and out while also providing years of lasting protection. Outside of our specialties we have a full range of additional capabilities including hand washing via our wash club, complete interior and exterior detailing, vinyl accenting, paintless dent removal, wheel refinishing and more. Areté also offers CarPro’s complete line of auto care products both in-store and online. Our clients rely on our experience with ceramic coatings and trust us over any other because of our dedication to service. For all longer details we offer a shuttle service or a full valet to all of our clients. We are sure to tailor each client’s experience to their individual needs. We take quality seriously. 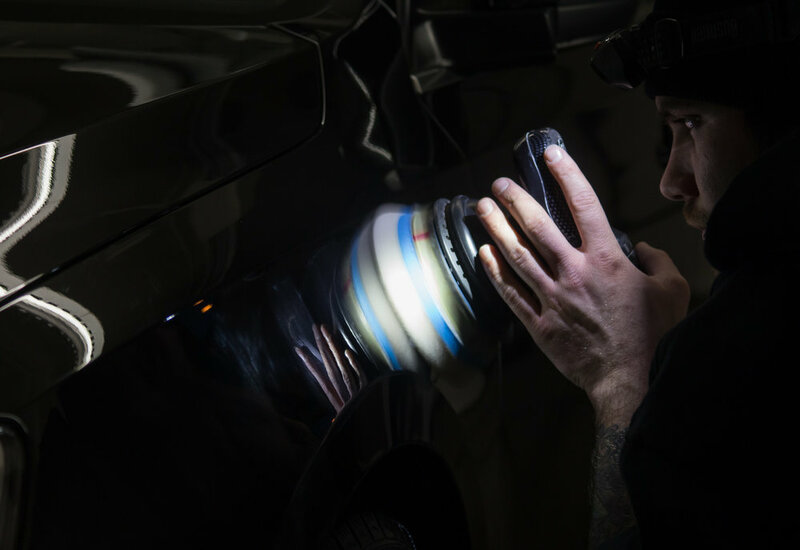 If you seek dedicated, passionate, and knowledgeable professional detailers working to assure your car is at its absolute best, look no further. No other shop in the Rochester area can provide you with the attention to detail and dedication to satisfaction that we provide. Auto detail is more than just a service to us- it’s a passion; we take pride in reconditioning the cars you love. We are owner-operated and employee-owned so you know that anytime you bring in your vehicle each and every person at Areté genuinely cares about the quality of work and your experience as a whole. Areté is also proud to be an IDA member. As a shop we are incredibly dedicated to the detail community and make sure to stay connected within the industry in order to bring our clients nothing but the best in techniques and cutting-edge products. We strive to produce superior quality and bring the best of the auto detailing industry to Rochester, NY and greater New York. Here at the shop we all have different taste in what we enjoy most in terms of automobiles. From French classics to Japanese metal we all have our niche but there is one thing we can all agree on, the Ferrari FF is a truly impressive vehicle. It breaks with what some may see as a “traditional” Ferrari with its front engine, all-wheel drive layout (the first production four-wheel drive model for Ferrari) and goes even further with its gorgeous grand touring design by Pininfarina in collaboration with the Ferrari Style Centre. With elegant lines and a stunning, rich interior it very much so is a sight to behold. When we were tasked with giving this Nero 2012 model a renewed, rejuvenated appearance, along with some serious protection to keep it that way, we were thrilled to begin. We truly live in a golden age of horse power. Vehicles like the Dodge Challenger Hellcat, with its mind-bending 707hp, represent the new school of American muscle. The amount of from-factory power cars like this are delivering has never before been seen at such an attainable price point. Even average commuter vehicles are coming with significant power that would be unheard of even 10 years ago. Among the cars really pushing the limits the Hellcat is special. Its incredibly high output has caused ripples among American OEMs who are now all cooking up their answers to this certifiably insane mopar machine. It will certainly be remembered favorably by history.